There is a lot of buzz about Claim based Authentication. 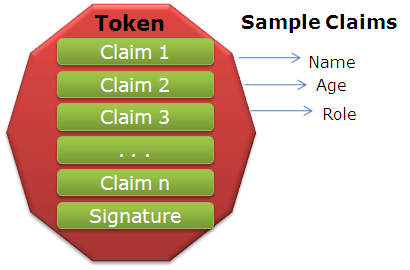 In this article, we’ll understand what is Claim based Authentication? What are the benefits and lot more.This is first Postin this Series. In subsequent posts, We will the implementation and more scenarios. Let’s first understand, what is the need of Claim based authentication? As we used to make several user accounts at several portals/websites. So every time we need to access the corresponding website, we need to remember usrename and password and if somehow we forget the password then we need to remember some specific details like security question etc to get the access of the account again. And every time we might not remember all these details. Also It is never advisable to write your user credentials physically. One more problem, Most of the applications are using some authentication mechanism mainly Classic UserName and Password. As most of developers are not really security experts they use to leave loopholes during development which are easy to break. So it is a major security risk. Most of developers have some or other day have worked SingleSignOn feature. It’s not always been a simple task. 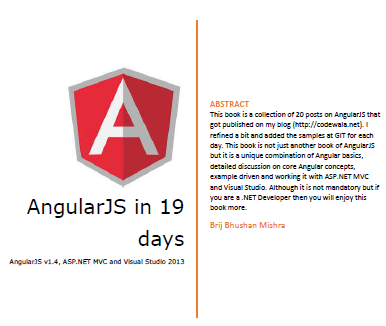 It leads a lot of challenges and many issues after the application is deployed on UAT/Production. As a user, we create a new user credentials (username and password) to lot of many application on internet like facebook, yahoo, gmail etc and some in-house site like some college portal etc or some enterprise application. So create every time a new credentials and to remember all these credentials and all are secured enough is very tedious. If there is any error you might loose some credentials and could end up in a big loss. Imagine the situation where you just need to have one user credential ie username and password and that is enough to access all your portals/websites. This will be Ideal situation. Might be it could not take place completely, but we are somehow moving in this direction. But how can this take place? 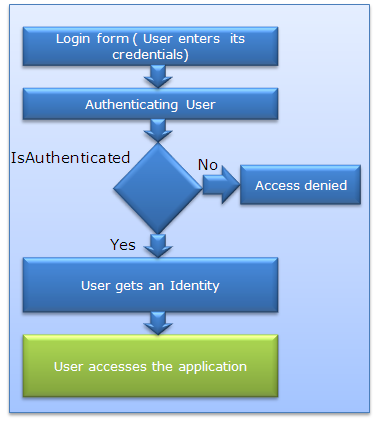 Actually Now a days when we create a Application which has authentication page, we need to understand, how it works. Actually when user logs in an Identity is assigned to that session and that Identity is maintained throughout the session until user logs out or it expires. So let’s view the current scenario. Above picture explains everything about itself. The same mechanism is also followed in Claim based Authentication. 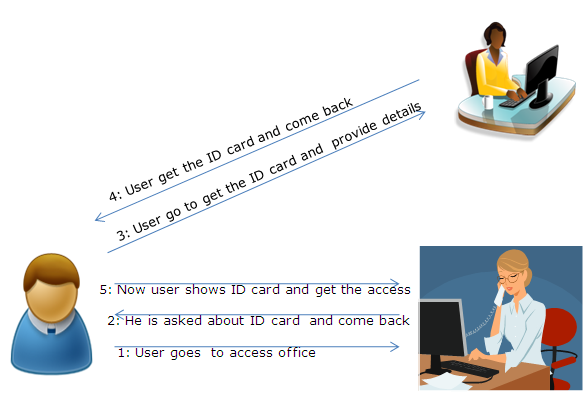 There are some authentication provider/Identity provider which are used by various applications so whenever a user tries to access some application, Application checks whether user is authenticated or not, if not, it forwards the user to Identity provider which actually authenticates the user, gives a token to user and forward the user to application. Application verifies the token and user is allowed to access the application. But this is not so easy in web scenario. There are few challenges – Who are the Identity Providers? – What all the data is needed to the relying party ie what data can be transferred from Identity provider and in which form – If there are multiple Identity providers. How application trust on them. Actually there are couple of Identity providers nowadays like Google, facebook, WindowsLive Id and many more.. And even we can develop our own Identity provider for on premise applications. This also can be used on Cloud as well. 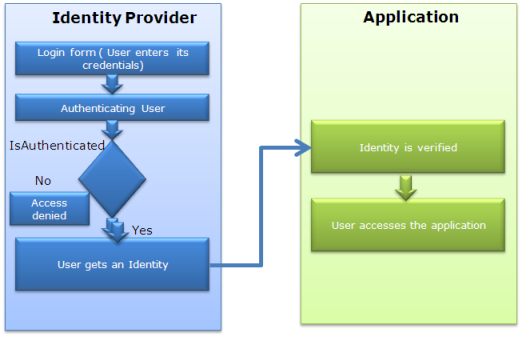 Now if I am making an application and my application uses some Identity provider to authenticate a user. Then application must understand the token of that Identity provider and also there must be trust relation between application and Identity providers, so that application can rely on the token sent by that Identity provider. Now let us discuss what are the basic things involved in it. 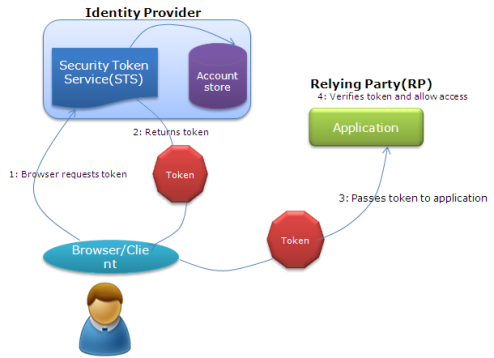 These are mainly Identity, Tokens, Claims, Identity Provider or Security Token Service, RP (Relying Party) etc. To move ahead we need to understand all these. Lets discuss one be One. You can say Identity is a group of information that can uniquely identify anything. Most of the other things also have identity like your own PC, Vehicle etc. But here as we are talking about person. So in this digital era, we can say a digital identity is a group of information to identify a person. Sometimes token be XML based Security Assertion Markup Language (SAML) format. 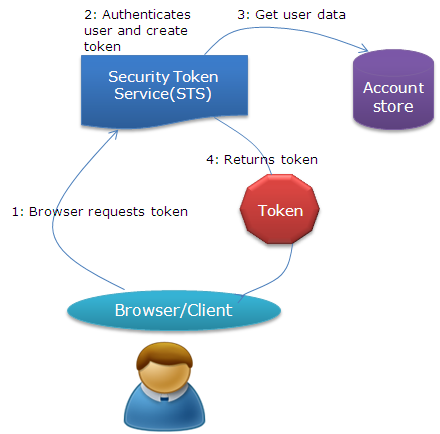 But now application use rather simpler token call as Simple web Token( SWT). So the benefit is here we just not pass user credential but also we can pass some other information of the user to the application. Identity provider is the key in this technology, this is actually authenticate the user and create the token with claims, as per the requirement and digitally sign it before sending. Identity provider is also known as Security token service. So how STS work lets have a view. Relying party are the applications those uses these Identity Provider for authentication. They just need to understand and verify the token and get all the data from the token itself which is required. But before all this, RP needs to build a trust relationship and tell the Identity provider what all data needs for a user. So that next time a token it receives, it can verify the issuer and get the required data. So this is the basics of the Claim based Authentication and in my Next Post we’ll focus on Implementation part with the help Windows Identity Foundation WIF. Do share your views about this post and let me if I have missed anything.